Have you ever seen an air plant? I’ve seen them at different flea markets and on Etsy and I finally decided to buy one for myself. 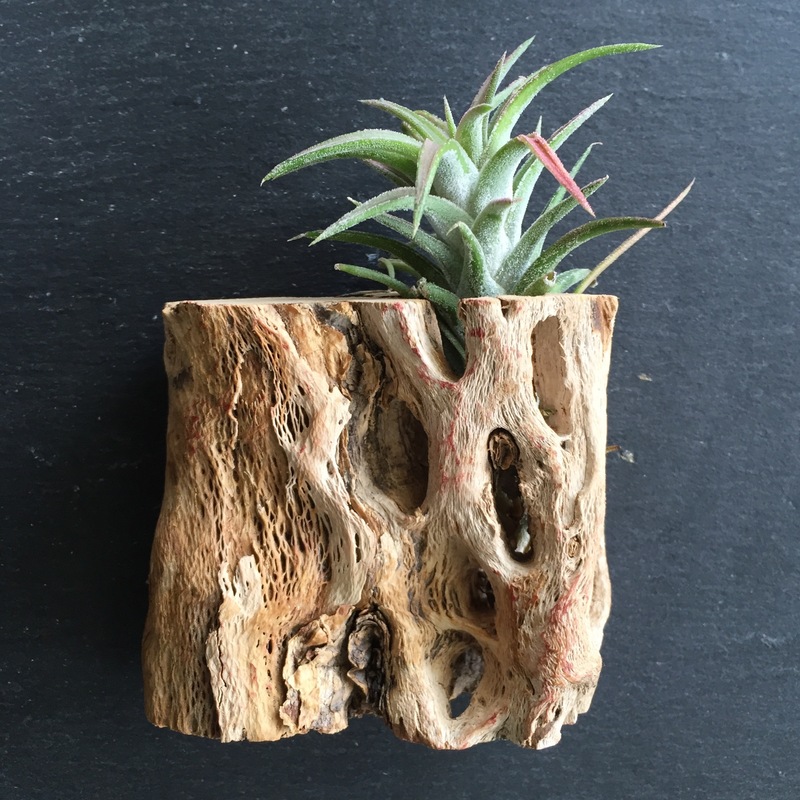 Air plants, or epiphytes, are plants that grow on other objects. They don’t need soil to grow and they gain their water and nutrients from the air. If I don’t kill it first (I have little luck with indoor plants) my air plant will flower and then produce “pups,” which are little offshoots that can be removed and grown as a separate plant. Air plants typically grow in heavily shaded rain forest environments so they are perfect for houses that don’t get a light of light. I’m excited to see what this little plant will do in the next few months! 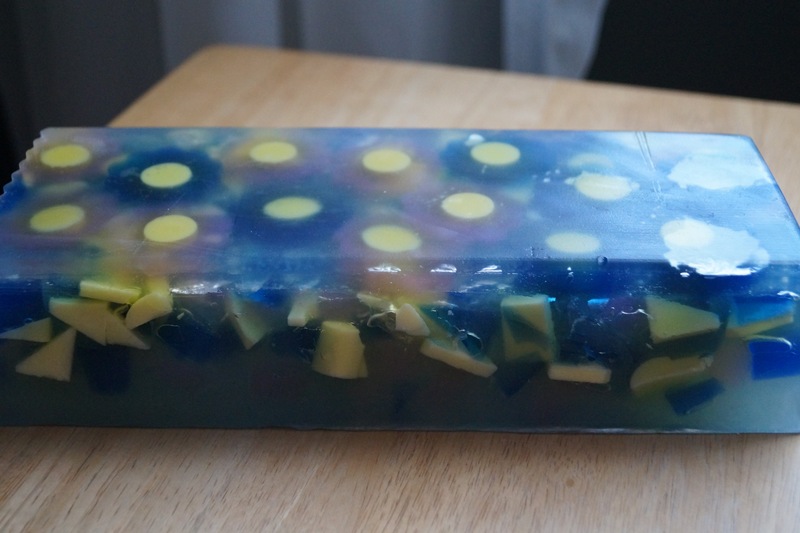 Easy melt and pour polar bear soap tutorial – Melt and pour soap was my starting point in the world of soap making and I still love the versatility it offers. 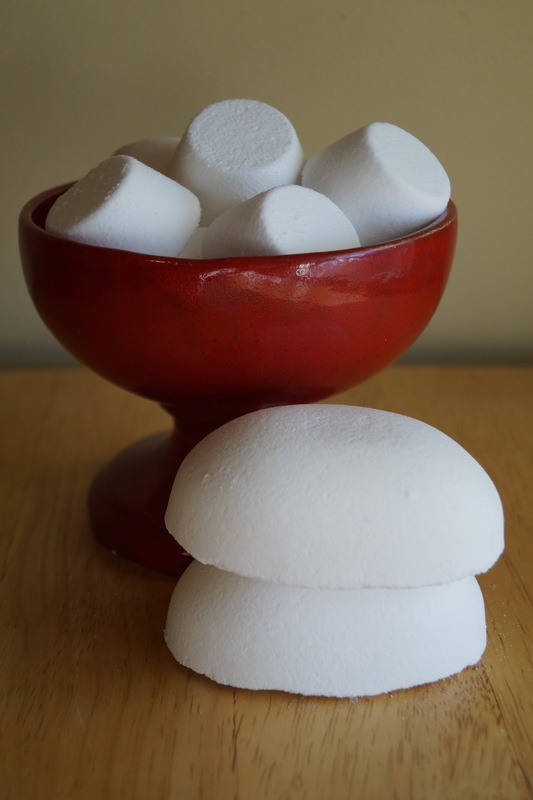 This easy to make soap from Soap Deli News would make a great stocking stuffer for a nature-loving child! 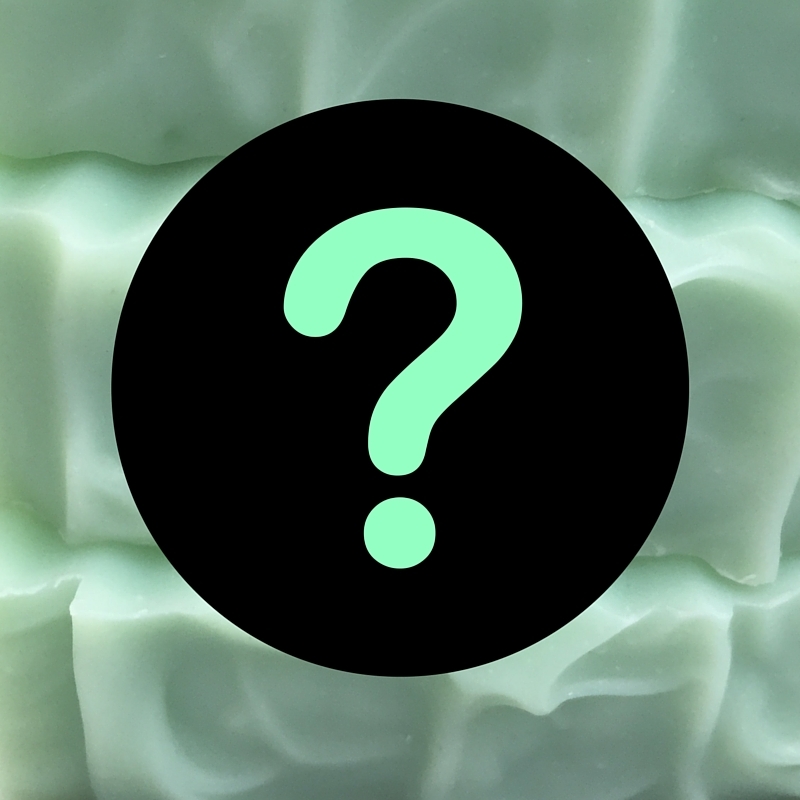 Cool yule peppermint loaf – This DIY from The Soap Queen is a bit more advanced. I’ve made this design and it’s a lot of fun to do. It looks and smells amazing! Sea glass – This DIY from Marte Ravn Tovik couldn’t be easier and the results are so pretty! Wrap these up in a nice cellophane bag, tied with a pretty bow and you have a cute gift for your beach-loving friends. Take a cute break – Check out a gorgeous Shar Pei and his cat posing in the most adorable ways. The pictures are guaranteed to make you smile at least once. Extreme waste reduction – Is this woman for real? Less than a jar of trash in a year? What does she do with her worn out underwear? 11 problems music can solve – And now I know how to get those kids off my lawn! 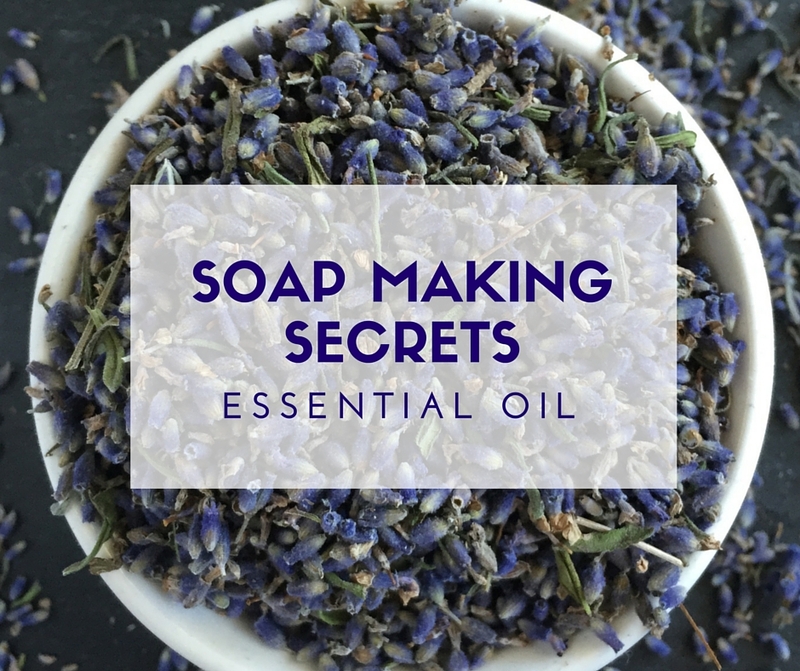 Have you thought about making your own soap? 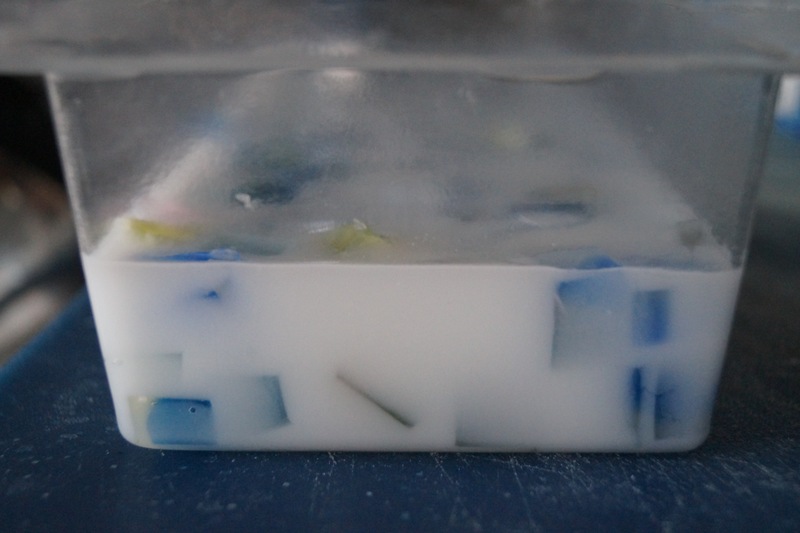 A great place to start is with melt and pour soaps, which are pre-made soap bases that you melt in your microwave and then pour into a mold. 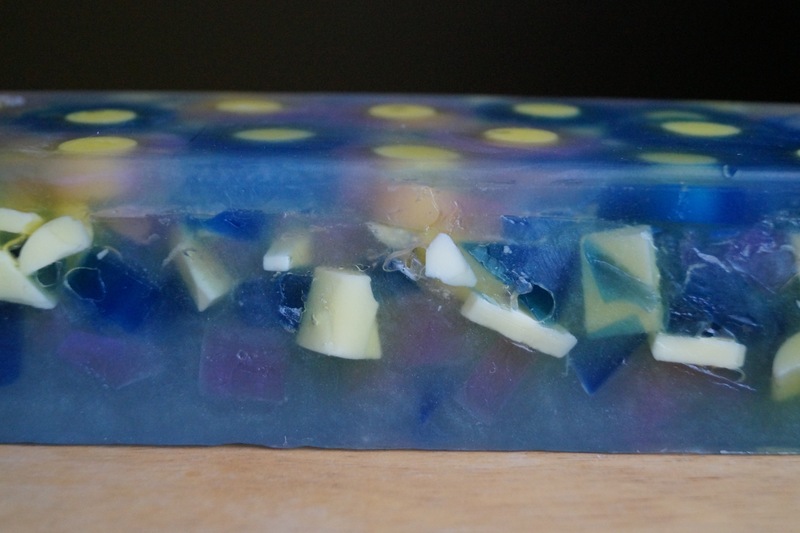 This type of soap is safe and easy to personalize with scent, color and molds. Sometimes a batch doesn’t go as planned but melt and pour soap is very forgiving and there are ways to salvage a failed batch. I’ve messed up more batches than I like to admit but when things go right, it’s very rewarding! Why not give it a try? Now that the holiday season is over, I’m back in my lab (a.k.a., my extremely tiny kitchen). Here’s a sampling of some of the things I’ve been working on. I managed to crank out three loaves of soap in two days before I ran out of ingredients. The loaf on the left below is a new batch of Summer Block Party. The swirls turned out so differently this time around. I’m getting more bold in my use of colors and scent and you can see the results in the middle loaf. 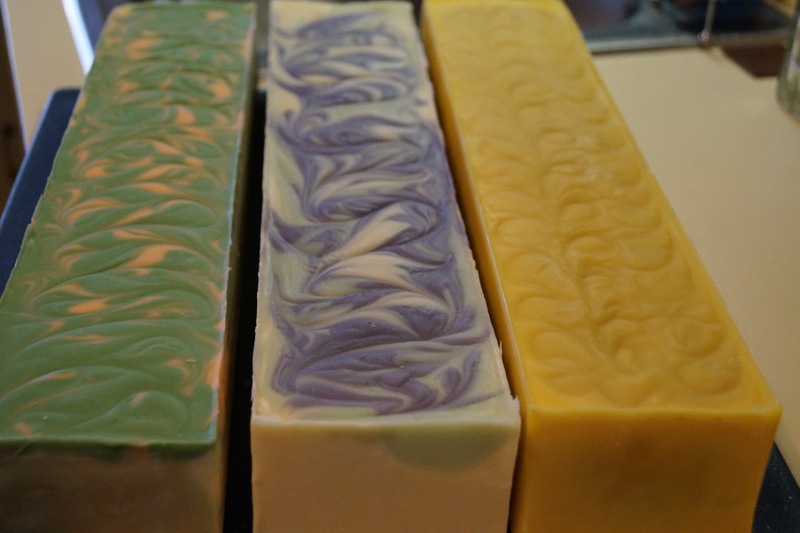 It’s scented with essential oils of eucalyptus, peppermint and lavender. I haven’t thought of a name yet but it is definitely a sinus clearer! Finally, Soap á l’orange is a customer favorite. I make this anytime I get my soaping equipment out. I can’t wait to cut into these! They will need to cure for at least six weeks so I expect them to be in the shop in February. 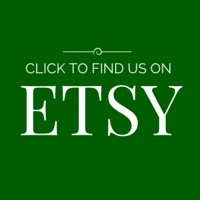 Be sure to follow Emmet Street Creations on Facebook and Twitter so you can keep up to date with all of my new product offerings! This soap makes me imagine what it’s like to be a famous celebrity living on my fabulous ranch in southern California. Our Citrus Clouds soap may not bring you a perfect celebrity lifestyle, but it certainly is a favorite on Emmet Street. Whether you have to be on the set or in a cubicle at 8 a.m., this soap packs a wake-you-up-in-the-morning wallop with its orange and lemon verbena fragrance. Needless to say, getting ready for work in the morning is a challenge. On those particularly rough days, this Soap á l’orange is the perfect pick-me-up. The scent of orange essential oil perks you up and transforms your shower into an orange grove. It’s a proven winner on Emmet Street, it’s hard to keep the stuff in stock—you should get yours now!